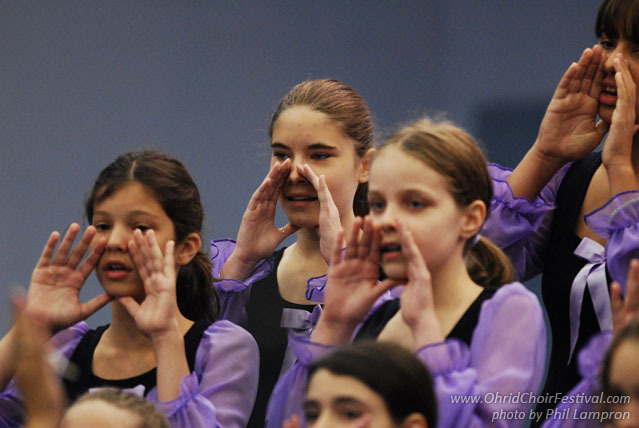 This choir has been in existence for more than ten years, taking part in many International Choir Festivals. It has been declared the best children’s choir in our country and its conductor as the best conductor in the category of children’s choirs. Last year in May, the choir took part in the European Music festival in Neerpelt, Belgium and won the second prize. 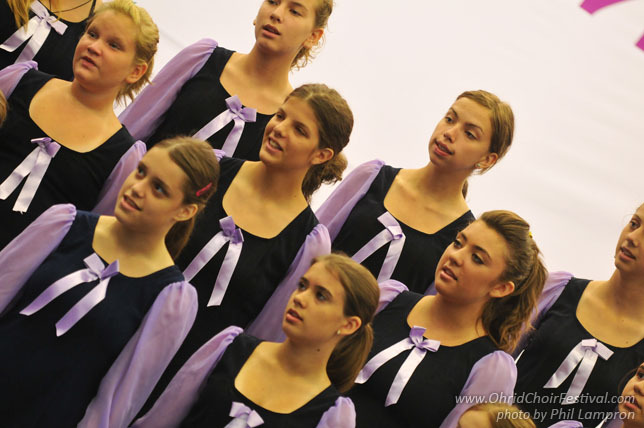 The year before the choir was in the Choir Festival in Bad Ischl, Austria, where it won the bronze medal. 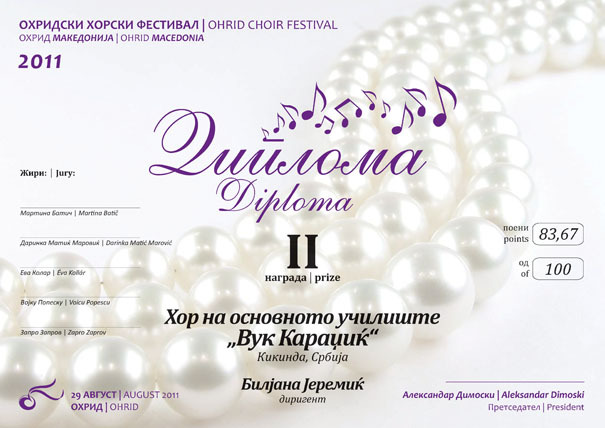 All the members of the choir are looking forward to coming to the Ohrid festival since they were there a few years ago and had many great memories of spending time in this beautiful town. The conductor, Biljana Jeremic is now working at the teacher-training School in Sombor, lecturing on methods of music teaching.